This is a logo Designed by Kilment Kalchev. I really love its simplicity and the complexity at the same time. Can you read the word “minimum” there? Or you see just the waves? Designed by Jason Cho. 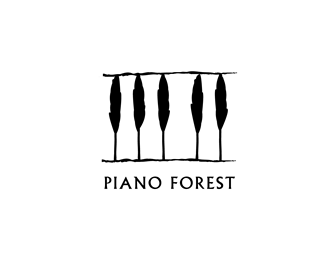 Interpretation of a piano keyboard by means of tree silhouettes.